This past spring the Black Panther Party of Seattle celebrated their 50th anniversary. They commemorated this momentous occasion with a 3-day summit highlighting the legacy of the BPP and how the work has continued. Many attended the event and were inspired by the stories, workshops and relationship building. So what’s next? The BPP of Seattle knows that the youth are not simply our future leaders, but they are our present day leaders and revolutionaries. The average age in the BPP was 19 years old. They were on the frontlines of much needed social change. It is essential we recognize that the same is true today. Young people are on the frontlines of the most dynamic social justice movements–#BlackLivesMatter, Climate Change, #MeToo, Gun Violence, #NoNewYouthJail, etc. 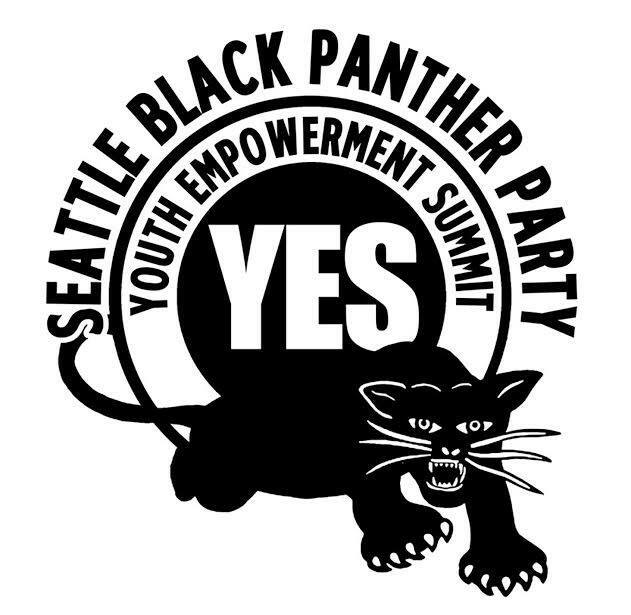 Saturday, November 10th, 2018 at Rainier Beach High School the BPP of Seattle will host the first Youth Empowerment Summit (Y.E.S.). Youth Empowerment Summit (Y.E.S.) is a way of continuing the 50th Anniversary and fulfilling our mission to empower our community in the discussion of action and strategies to address the issues we are facing. Y.E.S. is a one day intergenerational multicultural justice focused convening of youth from across King County. Elders from the BPP and the greater Rainbow Coalition will join us for a day of political education, community organizing, and relationship building. Y.E.S. young people will participate in an opening plenary, workshops, food and fellowship, an opportunities fair, and a closing plenary with Black Panther Party leader Bobby Seale. Y.E.S. offers young people the opportunity to come together to discuss community organizing leading to action across the 3 themes of the Seattle BPP anniversary. There will three tracks at the Summit. Each track would be consistent with the themes “yesterday, today, tomorrow”. “Yesterday” – a series of workshops to learn from community organizers of the past including a variety of local activists, revolutionaries and community organizations. “Today” – a series of workshops looking at activism today and the issues that face this generation from today’s activists and youth leaders including community leaders and organizations like Nikkita Oliver, Wyking Garrett, Credible Messengers and others as well as today’s college BSUs or student leaders who are doing the work now. “Tomorrow” – a series of discussions or workshops geared toward organizing young people into action groups addressing the issues they feel most relevant and urgent for their generation. The opening plenary will begin at 10:00am. The conference closing at 4:00pm.